Sleep really is a fascinating thing. It has the ability to help the body grow, heal, rejuvenate, and reset. 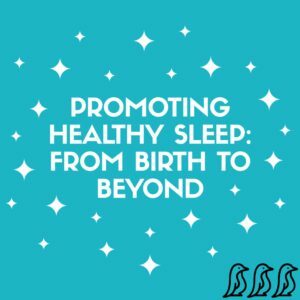 When I was pregnant with my first child, I started to think more about sleep and its effects on our bodies. I, myself, have always been a night owl and never really required more than 5 – 6 hours of sleep per night. On the other hand, my husband requires at least 8 hours of sleep per night to function well. Being a pregnant mama, I was very concerned about my baby’s growth and development and the possibility of disruption if he/she didn’t get the required amount of sleep. After being highly recommended, I started reading the book Healthy Sleep Habits, Happy Child by Marc Weissbluth. Weissbluth, a pediatrician, presents strategies for solving and preventing sleep problems from infancy through adolescence. One of the biggest points I took away from the book was the concept of sleep promoting sleep. The idea that the longer the body is given the opportunity to sleep, the longer the body will want to sleep. Translation: early bedtimes are a key to healthy sleep habits! According to Weissbluth, well-rested children may be able to focus better, be calm, happy, and more manageable and do better in school, even having higher IQ’s. On the other hand, poorly-rested, over tired children may have difficulty falling and staying asleep in the evenings, be cranky or bored, and difficult to manage, inflexible, hyperactive, or have shorter attention spans. When they grow older, these children may have stomach issues or headaches, and possibly struggle in school. The book mentions a number of other strategies that I went on to implement, which I will share in different growth phases: infant, toddler, preschool, and elementary. (My oldest child is in elementary school now, so I cannot attest to what may or may not work for adolescence yet.) I also want to mention a number of products I used to help my children sleep well. I will say, each child is different and sometimes it is a game of trial and error. Some of the strategies that worked well with my daughter did not work with my son and I had to find something else to help him get a good night’s sleep. The important thing was I didn’t throw in the towel and allow bad sleep habits to form. Temperature regulation: We live in an older home with radiant heat and no central air conditioning. It can be hot in the summer and cold in the winter. I use an indoor humidity monitor that reports the room temperature and humidity level so I can keep the room cool/warm enough to promote sleep. Children do not sleep well when they are too hot or too cold. I have found 70-72 degrees to be a good sleeping temperature with proper sleepwear for the season. I also use a portable fan/heater to keep room comfortable and take with us on trips. Miracle Blanket swaddling wrap: My cousin told me about this product well before I was even pregnant and I watched her use it on her 3 month old baby. It’s an amazing product and easily lengthens the amount of sleep in 2-6 month old babies. Check it out and watch a video on how to use it. Zipadee-zip swaddle transition blanket: Once my children wanted to have their arms free from being swaddled, I needed to figure out how to wean them. For my daughter I did the “one arm free from swaddling at a time” weaning method. For my son, he had the “startle reflex” for much longer and I needed to find a product that allowed him to have more movement with his arms but also keep him from waking up from the startle reflex. Enter the Zipadee-Zip! You have to check this product out as well. It was developed by a mom who was having the same issue I was and she ended up sewing her own sleep sack for her child. It is created in a modified star shape allowing the baby freedom to move their arms but still be inside the sack. My son wore this when he was 7-10 months old. Cluster feeding: This is mostly directed towards breastfed babies. My son would eat non-stop from about 5-8pm from about birth to 2 months old. This really helped to fill up his belly so that he could sleep for a longer first stretch during the night. 6:30 bedtime: As my babies started to get out of the newborn phase and had dropped the 3rd late afternoon nap (5:00ish), I made sure they were in bed early. My daughter who was formula-fed would sleep a long stretch before waking to eat again. My son, who was breastfed would not sleep quite as long, before needing to eat. I could get him to sleep 6-hours before nursing. I would always “dream feed”, meaning no lights on in the room, very quiet, and he was not even fully awake. 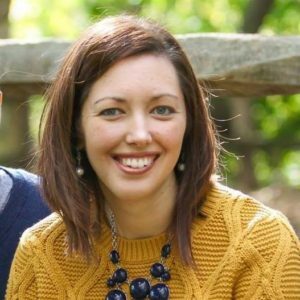 Put baby to bed awake: I was able to do this for the most part once my babies were out of the newborn phase (Let’s face it…sometimes they fall asleep while they are nursing/drinking a bottle and that’s okay – according to Dr. Weissbluth). Once my babies started to get in a routine, I would always lay them in their crib awake or at least drowsy. This allows babies to learn to self-soothe and put themselves back to sleep when they wake during the night or naps. When my son was swaddled, I noticed him turning his head from side to side while his eyes were closed. I looked it up and, sure enough, he was self-soothing. Blackout shades: My babies have always slept better in a very dark room. It also allows them to sleep longer, especially in the morning when the sun comes up much earlier than you want them to wake. It also helps to have a dark room when implementing an early bedtime when it’s light outside (in the summertime). I use the accordion-style fabric shades but black-out curtains could work also. Cry It Out: The book mentions this method of sleep training as a supported strategy but it should not be implemented before 4 months of age. There are a lot of differing opinions on this method. I think the success has a lot to do with the baby’s personality and the mother’s commitment. There are also softer versions of the method, which I used with my babies. I encourage you to research this topic before deciding on implementing with your baby. Lovey/teddy bear: Implementing a lovey or teddy bear (with thread eyes/nose not buttons) around 9 months can act as a soothing aid for babies when you are not in the room. The attachment to one particular item can begin at this age and last well into elementary age and beyond sometimes. Sleep sack/Wearable blanket: I never used this with my daughter, but I did with my son. I struggled to regulate my daughter’s room temperature in the winter the most and ended up using a portable heater and blankets. I lost a lot of sleep checking on her throughout the night and putting the blanket back on her. For my son, I did some research and found that sleep sacks have different “TOG” ratings (range from 0.5-3.0) which basically tells you how warm they are. I found a 2.5 TOG sack for my son in the winter, and he and I both slept well! Bed transition: [crib to toddler/twin/full bed] Neither of my children were climbers, so I was able to make the transition when I felt we were both ready. However, if your toddler is climbing out of the crib, that is a safety concern and you should make the transition to a toddler bed ASAP. I was able to transition my children when they were past their 2nd birthday. One thing I have found to make the transition smooth is allowing the child to be a big part of it. We took my daughter to IKEA and let her pick out her bed and then she helped put it together and really took ownership of it and was so excited to sleep in it. We switched her from the crib to a twin bed that we had modified the height by trimming the legs. She also had a rail on one side that slid under the mattress to prevent her from rolling out. The other side of the bed was against the wall and we made sure to put the bed in the same spot in the room where her crib was. Safety gate: Once our daughter was in twin bed, we needed to make sure she was safe and not able to roam the house if she woke up during the night. She was used to a dark room and sleeping with the door shut, so we put a knob lock on the inside door knob so she would not be able to open the door. Later on, we switched to a spring-loaded baby gate across the doorway. As time progressed and she would stay in her room on her own, we moved the baby gate to the top of the stairs. Music: I have used music to help my children fall asleep since they were infants. I use it during naps and at bedtime at night. For nap, I play the music (could be instrumental or soothing vocals) on a repeated loop. But at bedtime, I just allow the CD to play through all the songs once. I use a Pandora channel with my daughter and after a while it stops playing on it’s own. Naps: By this age your child should be transitioning from two naps to one longer nap (usually occurring sometime between 12:30-4:00) My daughter took a long nap from 12:30-3:30, but my son usually only sleeps 1.5-2 hours. My philosophy is regardless of then being awake or asleep, they are in their crib/bed during naptime. The book makes a point that there needs to be 4 hours between waking from nap and bedtime. Sticking to this rule means you may have to wake your child from nap if they are sleeping late. Early bedtime 7:00: It is really important that you and your partner/spouse are in agreement when it comes to your philosophy of sleep and your children. It may require you to leave parties, holiday gatherings, or other events early to get your children home and into bed at a decent time. Family may question the choices you are making and find it ridiculous. Friends may disagree with your philosophy. Our culture doesn’t value sleep and early bedtimes for children as much as it should. Ok-to-wake clock: There are a number of models to choose from, but the premise is the same. You set the time when you feel it is reasonable for your child to get out of bed and start the day. The clock lights up or shows a sun and signals the child that it is “OK to wake”. If they wake up and see the moon/stars and the light is not on, they know that it is still time to be sleeping and they should stay in bed. Amazing product, especially for “rule following” kids. Naps disappear: When your child is preschool age, at some point they no longer need the afternoon nap. Once tell-tale sign is if bedtime is a struggle and the child is having a hard time falling asleep. Once the nap is removed from the day, an earlier bedtime can be easily implemented. Anticipate needs: Children this age, and beyond for that matter, are notorious for prolonging bedtime by needing to use the bathroom, get a snack/drink, read one more book, etc. Anticipate these needs and address them before you are at the point in the bedtime routine where it is time for sleep. You do not want the bedtime to get pushed back due to the “needs” of the child. Music: My children still use music to help them fall asleep. Although they can fall asleep without it, it happens faster when it is used. Nightlight: Children may be aware of the dark more now and may request light to be on in their room to alleviate some of their fear. Use a night light that is not too bright and place it away from where the child is sleeping. Limit screen time and rowdy behavior before bed: “Wired is tired” – the hyper, crazy point many kids hit around their bedtime is a sign of them being over-tired. Continue with a bedtime routine: Baths might change to showers, read chapter books together, brush teeth, etc. You may allow more independence with this as children get older. Early Bedtime 7-8:00: Putting children to bed before they are overtired will lead to longer, better sleep. Diffuser: A diffuser is a tabletop humidifier in which you can diffuser essential oils to help children relax and drift off to sleep. They can also help your child sleep better when they are sick. There are a number of “safe” essential oils for children which I encourage you to research or speak to an aromatherapist about before implementing with your own child(ren). 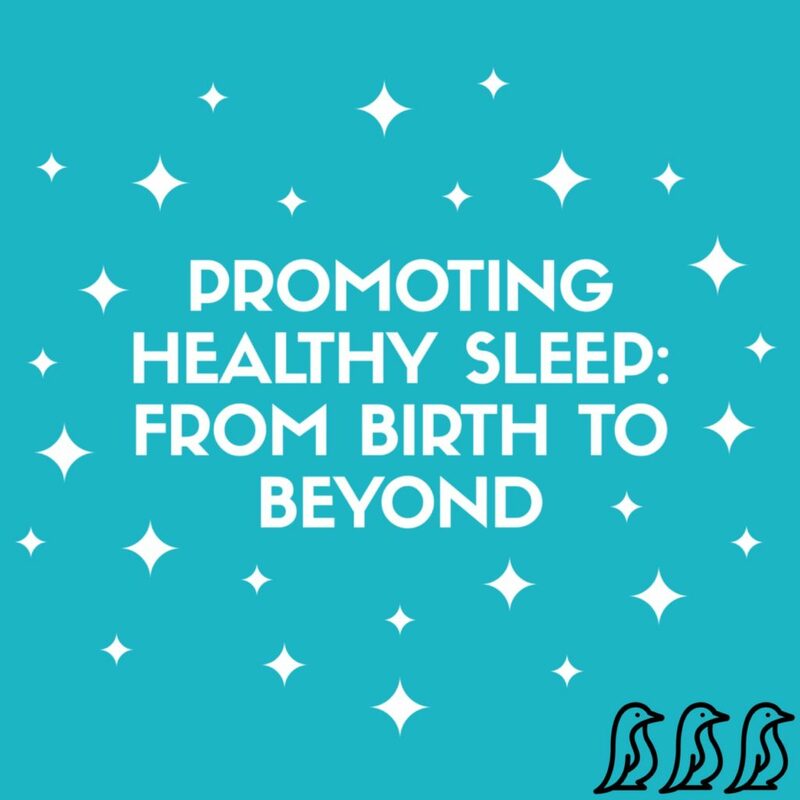 For more information on strategies to solve sleep problems and how to promote healthier sleep habits, I recommend you read the book I reference in this article, Healthy Sleep Habits, Happy Child.